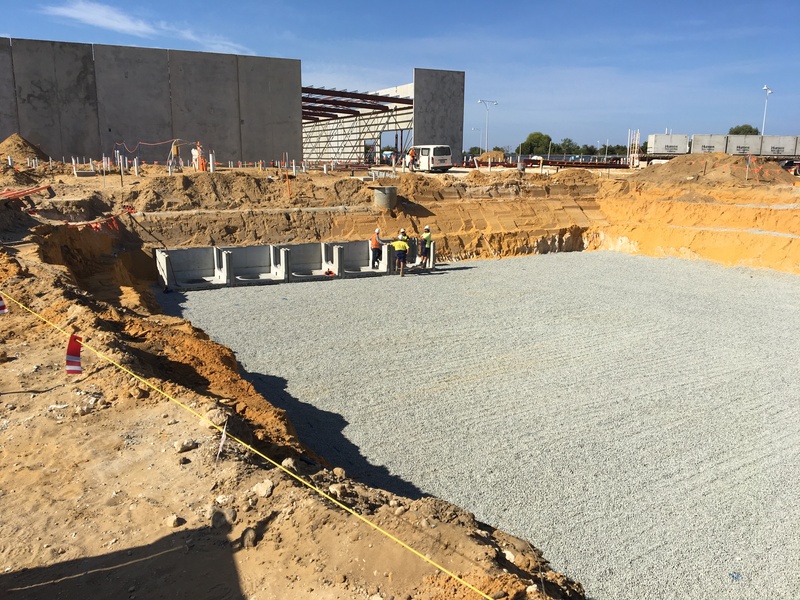 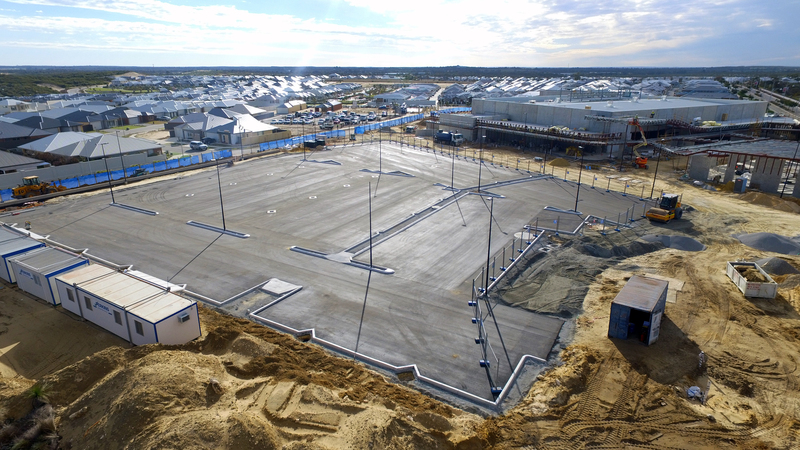 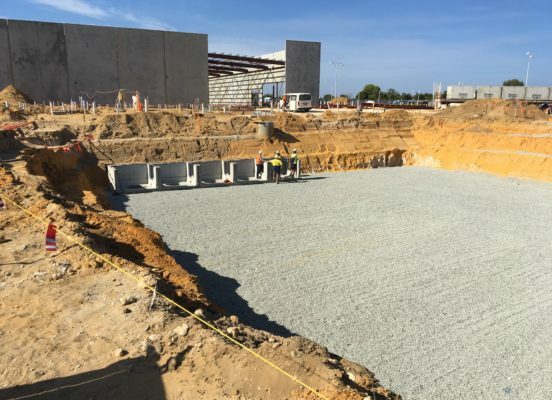 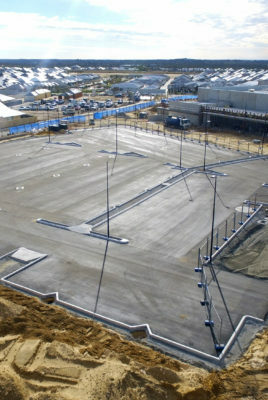 MGC CIVIL WAS ENGAGED BY PERKINS BUILDERS TO UNDERTAKE A RANGE OF CIVIL SERVICES WHICH INCLUDED, BULK EARTHWORKS STORMWATER AND CAR PARKS CONSTRUCTION TO THE TRINITY VILLAGE SHOPPING CENTRE. 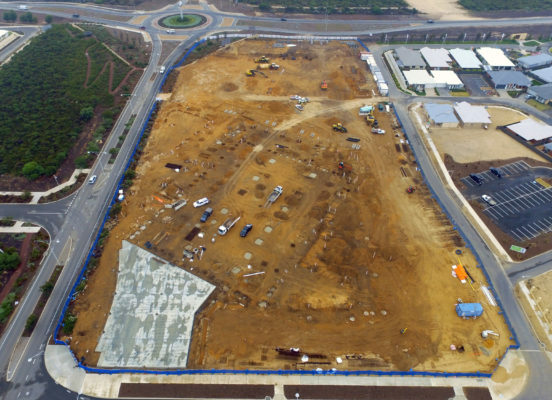 The works included site clearance of vacant land to remove and dispose existing trees, grass and other vegetation from the 21,000m2 site. 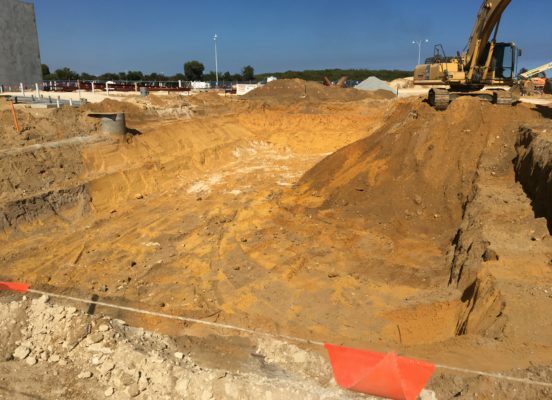 Cut to fill bulk earthworks in difficult ground conditions due to the presence of limestone to achieve the required design levels for building pads, car parks and landscape areas. 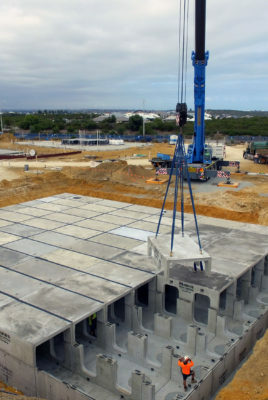 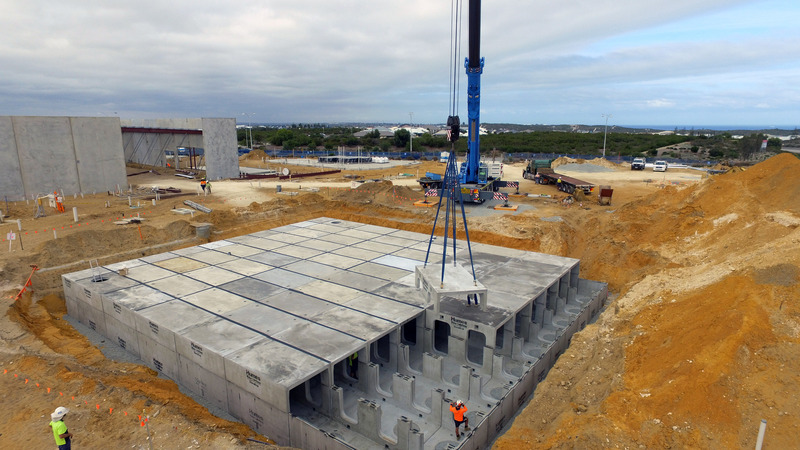 Excavation and installation of the civil drainage including 2 Gross Pollutant Traps, a Humeseptor and a Humes Stormtrap Underground Infiltration System. 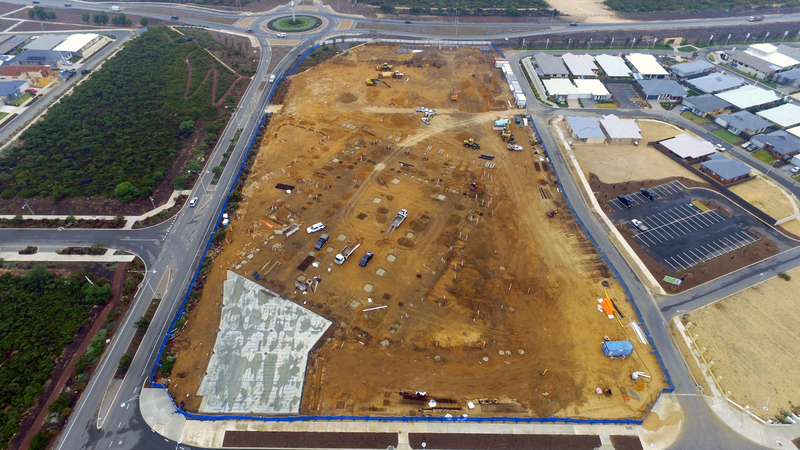 Final trim and pad preparation to 14,000m2 of building pads and the preparation & installation of 8,000m2 of car parks including kerbing, asphalt, signage and line marking.